What are the issues affecting women and minorities in the creative and technological fields? What are some of the ways to solve them? Why is diversity important? These are some of the questions we will address in this class. The format of our sessions will vary between presentations by the instructor and interviews with guests. We will be looking at case studies, examining our own attitudes and biases, and coming up with solutions. We will have nationally and internationally renowned guests from various fields at the intersection of art and technology. This is a great opportunity to find out more about fields within and beyond your interests and to study the current practices employed by leaders from various creative and technological fields. We will begin by looking at the current and projected demographic changes in the United States. Then, our focus will shift toward biases and stereotypes, why we have them, the effect they have on us and on what we consume though media and portable devices. We will look at various studies examining our racial attitudes and gender stereotypes and ways they could be challenged. We will continue to challenge deeply held stereotypes and the effect they have on personnel decisions and work culture. We will look further into gaming and other tech industries, examine the mechanisms behind race and gender gap in tech. At the end, we’ll get a broader view of protected classes and tackle the issue of perceived reverse discrimination. This session will feature interviews with renowned Iraqi-born artist Wafaa Bilal who tackles socio-political issues through high profile, technologically-driven art projects that employ robotics, the internet, and photographic mobile mapping; Jennifer Bullard, a 19-year video game industry veteran, who has worked on titles large and small such as classic favorites Heroes of Might & Magic III - IV and expanding the Sims II franchise; and Dr. Kristin McGarity, the founding director of the Music Technology program at Montana State University who built a new major for aspiring composers and sound engineers. This session includes interviews with with Doreen Lorenzo, Director of the Center for Integrated Design at UT Austin and a successful leader of global creative firms; Preston L. James, CEO of DIVINC.org, focused on helping innovative entrepreneurs “change the world” by working with them in an advisory, partner, consultant, mentor and/or investor capacity; Curran Nault, Joint Lecturer at University of Texas at Austin, and Founder and Artistic Director of the OUTsider festival, which unites queer artists, audiences and scholars from around the globe to exchange ideas, ignite conversations, and transcend boundaries; and Dr. Mary Fernández, President of MentorNet, a social network for mentoring STEM students. Is a diverse workforce good for the economy in general and for tech industry specifically? We will examine some case studies and list some strategies for moving forward. Yuliya Lanina is a Russian-born American multimedia artist. Her projects are collaborative in nature and exist at the intersection of visual and performing arts, technological innovation, and social issues like gender perception, sexual objectification and violence, loss, and motherhood. Lanina’s works have been exhibited in such museums and institutions as the Seoul Art Museum, Korea; Moscow Museum of Modern Art, Russia; Ludwig Museum, Cologne, Germany; Cleveland Institute or Art, OH, Elisabet Ney Museum, Austin, TX and Galapagos Art Center, Brooklyn, NY. Her multimedia works and performances have awarded her invitations to many art fairs, festivals and conferences, as well as to SIGGRAPH Asia (Japan); SXSW (TX); 798 Beijing Biennial (China); Seoul International Media Art Biennial (Korea); KunstFilm Biennale (Germany), Fusebox (TX) and the Creative Tech Week (New York City). Her work has been featured in Brooklyn Rail, Houston Press, Glasstire, Art Review, Wagmag, Bloomberg News, Austin-American Statesman, Australian Art Review, SightLines, NYArts Magazine, ART on AIR.com/MOMA, PS 1, Beijing Today and can be found in several national and international private and corporate collections. Revolt Magazine chose Lanina as one of their top ten New York City artists of 2013. 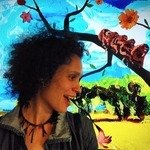 Lanina is a Lecturer at the Department of Arts and Entertainment Technologies at The University of Texas at Austin. Iraqi-born artist Wafaa Bilal, an Associate Arts Professor at New York University’s Tisch School of the Arts, is known internationally for his on-line performative and interactive works provoking dialogue about international politics and internal dynamics. For his 2007 installation, Domestic Tension, Bilal spent a month in a Chicago gallery with a paintball gun that people could shoot at him over the Internet. The Chicago Tribune called it “one of the sharpest works of political art to be seen in a long time” and named him 2008 Artist of the Year. Bilal’s work is constantly informed by the experience of fleeing his homeland and existing simultaneously in two worlds – his home in the “comfort zone” of the U.S. and his consciousness of the “conflict zone” in Iraq. Using his own body as a medium, Bilal continued to challenge our comfort zone with projects like 3rdi and …and Counting. Bilal’s most recent body of work, Canto III, premiered in a solo booth at the New York Armory Show in 2015 and went on to be shown in the 2015 Venice Biennale. 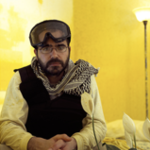 In 2008 City Lights published “Shoot an Iraqi: Art, Life and Resistance Under the Gun,” about Bilal’s life and the Domestic Tension project. His work can be found in the permanent collections of the Los Angeles County Museum of Art, Los Angeles, CA; Museum of Contemporary Photography, Chicago, IL; MATHAF: Arab Museum of Modern Art, Doha, Qatar; among others. 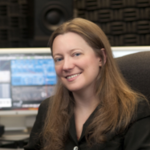 Kristi McGarity founded the Music Technology degree program at Montana State University, building a new major for aspiring composers and sound engineers. As an academic composer, she earned a Bachelor of Music degree from the University of Michigan, and MM and DMA degrees in music composition from The University of Texas at Austin. Today Kristi runs a studio and custom songwriting service in Kyle, TX. Her songs celebrate special people, commemorate events, and enhance websites. As SongInvention, Kristi also produces promotional music for businesses and nonprofits. 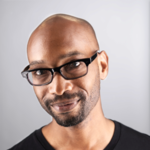 Oen Michael Hammonds, a designer, mentor and the Head of Design Enablement Experiences at IBM Design, has designed across the gamut—advertising, graphic, interactive and environmental. Oen's previous work with diverse clients in the consumer, business and technology industries demonstrate his ability to jump in and solve tough challenges. At IBM Design, Oen leads the Enablement education team to develop education programs and experiences for executives, software development teams and sales. In this role, Oen and his team facilitate workshops that activate participants to effectively apply IBM Design Thinking and modern work practices to build iconic products with human centered experiences. 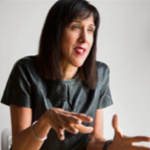 Doreen Lorenzo is a successful leader of global creative firms who advised Fortune 100 companies on design and innovation issues for decades. In March 2016 she was appointed Executive Director of the Center for Integrated Design, University of Texas-Austin. She is a co-founder of mobile video insights firm Vidlet, as well as a board member and advisor of several other startups, and a columnist for Fast Company Co.Design and Medium. A recognized thought leader on business and design issues, she speaks publicly about her signature leadership style and the power of empathy to drive business results. A driven and successful woman in a male-dominated industry, Doreen also speaks about women in leadership and coaches aspiring women leaders to help them find their own paths to success. From 2013 to 2015 Doreen was president of Quirky, where she oversaw product development and operations for this fast-growing company. 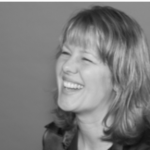 Prior to Quirky she worked at frog design for 16 years, including seven years as president. She has been featured in ABC News, Bloomberg Radio, Fast Company, Fortune, The New York Times, and many other media. She served as a member of the World Economic Forum’s Global Agenda Council on Emerging Technologies (2011-2012) and Emerging Multi Nationals (2013-2016). 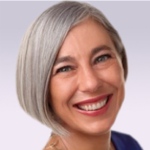 Dr. Mary Fernández is President of MentorNet, a division of Great Minds in STEM. Great Minds in STEM is a national non-profit with a 27-year history of advancing STEM education in under-served communities. MentorNet is an open social network that provides the opportunity for all STEM students, nationwide and in all levels of higher education, to have access to mentors who are professionals working in STEM fields. MentorNet’s guided, one-to-one mentorships help all students – especially women, under-represented minorities, and first-generation to college – to persist and succeed in their fields. Since 1998, Mary has mentored 18 MentorNet mentees and dozens of graduate students while she pursued a career in computing research. Before joining MentorNet, Mary had a 17-year career at AT&T Labs Research. She received A.B. and Sc.M. degrees in computer science from Brown University and the Ph.D. in computer science from Princeton University. She and her husband have two daughters. 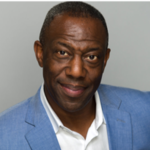 Charlie Jackson is CEO and Chief Happiness Officer at Diversity Fund - a next-generation finance platform for women, minority, veterans, and LGBTQ entrepreneurs and investors. He is a serial entrepreneur who has been involved in technology startups in Austin for two decades. He has also led global projects for Apple, Dell, IBM, Philips and other clients. A native Texan who has traveled the world, Charlie is passionate about social equity, international development and using technology for public good. He holds a BA in Government and an MS in Technology Commercialization from The University of Texas and resides in Austin. Jennifer Bullard is a 19-year game industry veteran. She has over 20 shipped titles including 2 major franchises, three AAA titles and a tool suite for independent developers to build their own product. Jennifer has founded 3 companies and been ground floor on 2 other start-ups. Her diverse skill set and experienced background in fast-paced, highly evolving industries has been a large factor in her continued success within the field of innovative technologies. This has led her to work at Querium, an education technology company building a robust AI Math Tutoring software, StepWise. Jennifer is currently on the Board of Advisors for University of Texas’ GAMMA program, an interdisciplinary degree recently developed to support the high tech entertainment and application industry. She is on the Board of Advisors for Austin Community College’s ADI program, and is an avid supporter of a well educated workforce. Jennifer has been on the STEM Council at Skillpoint Alliance from 2009-2014. She was the Chapter President for IGDA-Austin from 2009 to 2014. Like other Austinites Jennifer got here as fast as she could, arriving in 2004. Ever since then Jennifer has become increasingly involved with the Austin community. Aside from speaking and advising Jennifer has happily introduced the guests of the City of Austin to BBQ and breakfast tacos. Jennifer enjoys welcoming people to the city, as well as participating in its continued growth. James Preston. A dynamic and creative leader with broad international experience, who prides himself on the ability to effectively lead and collaborate to deliver strong business results on a consistent basis. 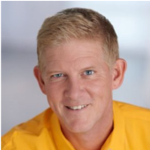 Throughout his career, Preston has flourished as a motivational and visionary leader who is exceptional in strategic sales planning and new business development. He’s also been greatly successful in developing highly valuable strategic partnerships and optimizing operations to accelerate business growth. Though he’s spent 20+ years at Dell, Preston is truly an entrepreneur spirit. Prior to Dell, he had worked for young startups and small companies. Even at Dell, he was always drawn to new startup initiatives or “turnaround” challenges, which is where he flourishes. Since leaving Dell in February 2014, he’s now able to focus exclusively on his passion for helping innovative Entrepreneurs “change the world”, by working with them in an advisory, partner, consultant, mentor and/or investor capacity. Curran Nault is the author of Queercore: Queer Punk Media Subculture (Routledge, 2017). He holds a Ph.D. in Radio-Television-Film (RTF) from the University of Texas at Austin, where he is a joint lecturer in RTF, Asian American Studies and Women’s and Gender Studies. His scholarship on queer subcultural media formations has been published in Jump Cut, Feminist Media Studies, The Journal of Film & Video and the Oxford Handbook of Queer Cinema, among others. 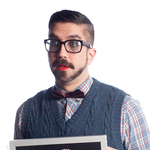 Curran is the Founder and Artistic Director of the queer transmedia festival, OUTsider, and is a producer on the documentaries Before You Know It (PJ Raval, 2013) and Justice for Jennifer (PJ Raval, 2018).